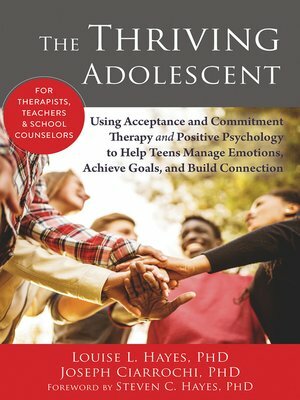 The Thriving Adolescent offers teachers, counselors, and mental health professionals powerful techniques for working with adolescents. Based in proven- effective acceptance and commitment therapy (ACT), the skills and tips outlined in this book will help adolescents and teens manage difficult emotions, connect with their values, achieve mindfulness and vitality, and develop positive relationships with friends and family. The evidence-based practices in this book focus on developing a strong sense of self, and will give adolescents the confidence they need to make that difficult transition into adulthood.